You may have heard of WTV. Or probably you have collected some WTV files and want to convert WTV to MP4. You’d better get to know the following things. WTV is a stream media format actually, which yes, it’s not as popular as the common media file formats like MP4, AVI, and MKV. However, with the development of multimedia techniques, this kind of format inevitably appears in your life. Also WTV stands for Windows Recorded TV Show. It is a proprietary video and audio file container format, used for storing TV content recorded by Windows Media Center. WTV is the successor to the earlier DVR-MS file format that was used in Windows XP Media Center Edition. Today few software support parsing the WTV format, and less of them support converting WTV to other formats, let alone convert the video to 4K UHD and even 8K video. WonderFox HD Video Converter Factory Pro can do it, and stands out from the other entire programs. WonderFox HD Video Converter Factory Pro supports converting recorded live television in WTV format from Windows Media Center to any other formats and HD formats, so you can convert WTV to MP4, convert WTV to AVI, convert WTV to MKV, WMV, MPEG, MPG, MOV, M4V, FLV, ASF, DV, 3GP, 3GP2, MTS, M2TS, WEBM, 4K, H.265, VP9, SWF and more, and directly transfer WTV video to iPhone, iPad, iPod, Android phones, Xbox, Zune…for enjoying recorded TV on the go. 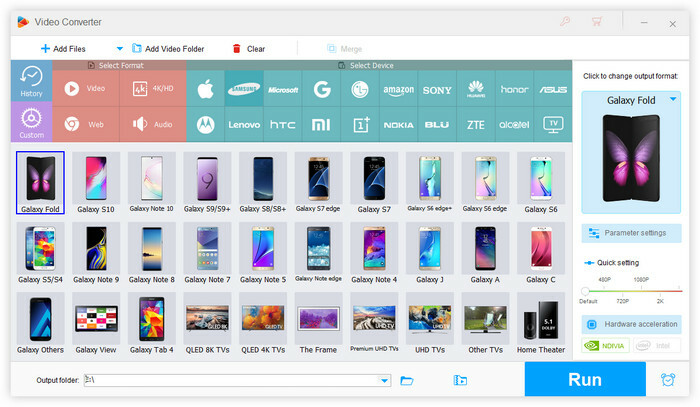 The WTV converter offers a wide variety of options to fit your unique needs such as keep subtitles, download videos, batch convert videos, edit video and more. If you don’t have too much related knowledge and is a completely newbie, don’t worry, cause it’s easy to handle. And if you want more from it, for example, you just need some advanced settings, this WTV to MP4 converter (MKV, AVI, MOV, MPG, HD AVI, VP9 video, H.265 video converter…) is good for you as well. This WTV converter supports multiple subtitles formats. During WTV conversion process, you can feel free to select target subtitle to video. The WTV converter is also a WTV downloader. 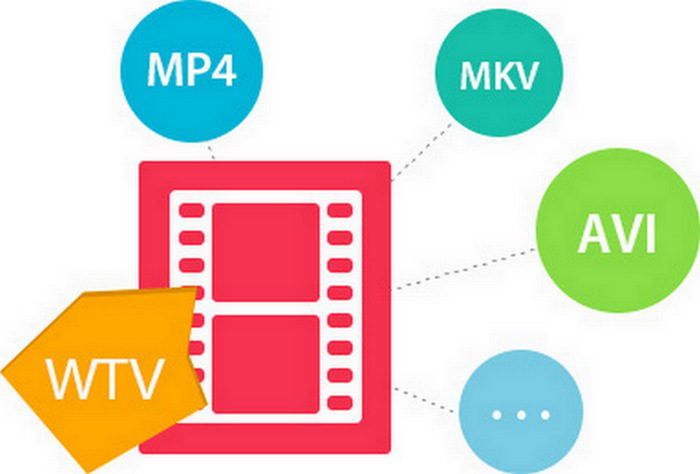 With only a simple click, you can easily download WTV video files from Internet and stream them to any portable media devices, for instance, download multi-track video from YouTube, Vimeo, MetaCafe and many more online video-sharing sites. WonderFox batch conversion function will help you convert a batch of WTV videos simultaneously. You can add up to 10 videos, and all of the videos will be manipulated at the same time. It supports Intel Quick Sync, AMD (ATI), CUDA, Multi-CPU and Hyper Threading and will help you manage tasks more effectively. 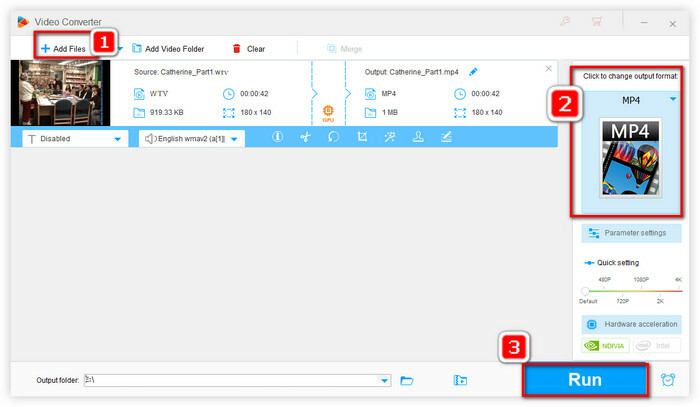 The smart WTV converter allows you to edit your WTV files at will before WTV conversion, like Clip video, Crop video, Merge videos, and Add video effects. You can adjust the output file size by controlling the “Compression Setting” or changing the video Bit Rates in “Setting” option. Here we take MP4 as the target format. You can convert WTV to MP4 and any other formats by following the step-by-step guide. Free download now! The WTV converter supports importing file(s) through “Add Files” option or dragging the file(s) to the grey zone. In the right column, you need to select the object format as “MP4”. Apart from MP4, 200+ formats and devices are provided. And don’t be afraid of the complicated parameters including resolution, bitrates, sample rates, aspect ratio, etc. The program has preset optimized settings for your devices including all sorts of TV sets. Thus you’re able to play any video on Apple TV, Samsung TV, Android Smart, Curved TV and any more. Note: WonderFox HD Video Converter Factory Pro will enable you to compress Ultra HD video as well as easily convert Normal quality video to HD. Moreover, it offers users 5 options on video quality (Auto Fit/480P/720P/1080P/4K). If you get the settings ready, just press the “Run” button and the output video file in MP4 format will be exported in the shortest time. How to Download Video from the Web? Click “Download Video” on the main interface.>Press “Analyze”.>Choose your wanted YouTube video quality and size and then click “Download”. You are supported to download 360 degree video and VR resource as well as download 4K videos with this all-in-one program(YouTube subtitles download is supported). How to Batch Reduce Video File Sizes? If you have several videos(WTV videos included) and want to downsize the videos in batch. You can the one-dragging setting. Select the “Compression Setting” option and drag the bar freely. You’ll see the above files’ sizes are changing. The program uses executive technology to keep a good balance on video size and output quality. So don’t worry about output videos’ quality. Besides, how about joining video clips into a whole home-made film or add subtitles to certain video files? Still have any question? Have some feedback? HD Video Converter Factory Pro - equipped with advanced High-Definition (HD) video conversion technology. It can help users convert videos from Standard-Definition (SD) to High-Definition (HD) like HD MP4, HD MKV, HD AVI, HD MTS, HD TRP and also enables users to cut down the video size (convert HD videos to SD videos). It equipped with advanced High-Definition (HD) video conversion technology. It can help users convert videos from Standard-Definition (SD) to High-Definition (HD) like HD MP4, HD MKV, HD AVI, HD MTS, HD TRP and also enables users to cut down the video size (convert HD videos to SD videos).